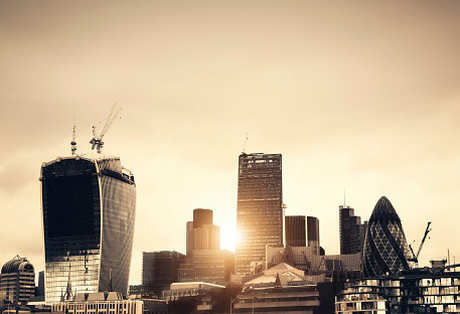 In light of Brexit having an adverse effect on market sentiment and punishing tax changes dampening enthusiasm, the role of a landlord is becoming increasingly complex as it becomes more difficult to determine what’s in store for the UK property market and consequently, more difficult to prepare for those changes. In order to prepare for the following year (which will inevitably be full of change and chaos once again), we have put together a list of the 4 key things that all landlords need to be aware of, from new reforms to old ones that may have been overlooked. Unless you’ve been living under a rock for the past year or so, you’ll be familiar with the changes to mortgage interest tax relief. But it’s bad news for landlords once again in 2019 as the effect of tax relief restrictions continue to be felt throughout the nation. Although changes won’t come into full effect until 2020 and have been phased in since 2017 to soften the blow, 2019 marks yet another year in which cuts will be harsher for landlords. As of April this year, all letting agents in England will need to be a part of an approved CMP (Client Money Protection) scheme which aims to protect landlords and the rent a tenant pays to their letting agent should they go into administration. The scheme also protects against theft or misappropriation. It is also worth noting that the CMP scheme will not cover the full value of rent and operators will be able to cap the amount of money they pay out per claim. Landlords should ensure that they join a CMP scheme before April at the latest to avoid facing a £30,000 penalty charge for non-compliance. Landlords may also want to consider using a number of different letting agents across their portfolio to avoid losing out financially if an agent goes out of business. A ban that stops letting agents charging fees to tenants is expected to come into full force on 1st June 2019, and landlords should start to prepare for what the changes could mean for them. The new reform will target a number of different issues, including deposits which will be capped at five weeks rent. Landlords and letting agents will also be banned from charging fees for anything other than contract changes or termination (when requested by tenant), utilities, council tax, communications services and things such as the replacement of lost keys when the tenant is at fault. So, there you have it, the 4 key things that you need to be aware of as a landlord in 2019. Oh, and be sure to keep your eyes peeled for any new laws and reforms in the coming months. There is expected to be a lot of change to the UK property market following the UK’s departure from the European Union in March, so be prepared.